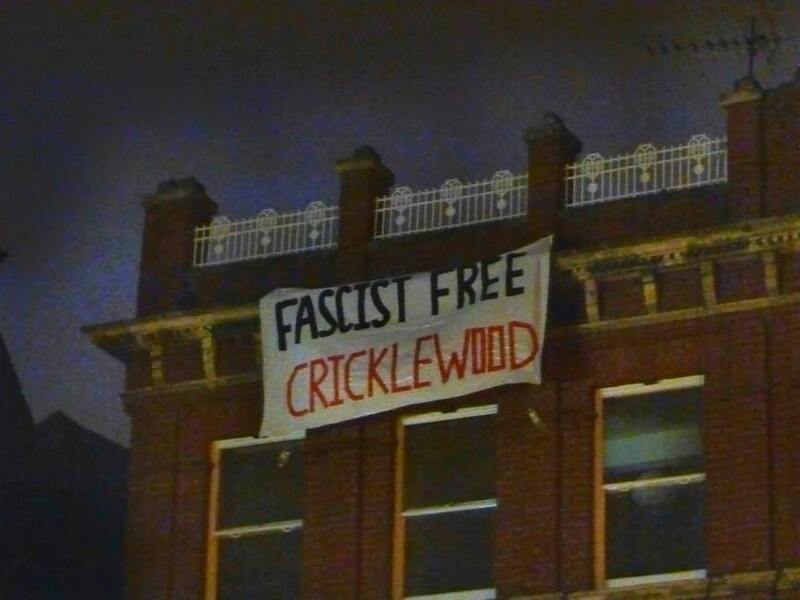 With the unsuccessful and feeble attempt made by South East Alliance to march down Cricklewood on 14th June and having had their noses put out of place by the antifa . The fascists have decided to attempt it a second time. And once again they will be met with resistance. The local community got together and North West United was born. Since then the campaign to keep the fascists of our streets has gone into over drive. Leading figures of the community have signed letters and locals have been busy leafleting every day. Posters have appeared at every corner, lamppost and glance in Kilburn and Cricklewood. Banner workshops where held and many a slogan was painted. 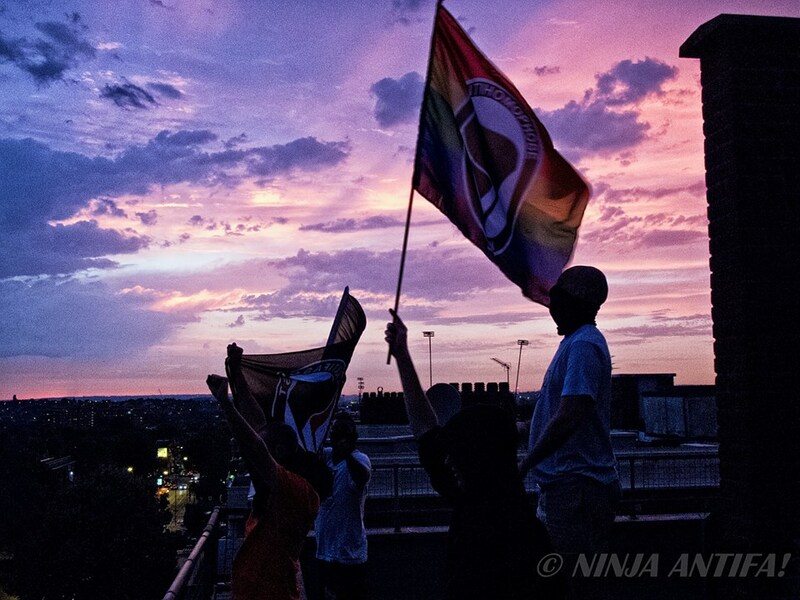 So tonight the night before we decided to go and carry out some banner drops. Here is a little peek at what went down in Cricklewood.